The oldest rivalry in the game continues with a game between two original sides of the competition. 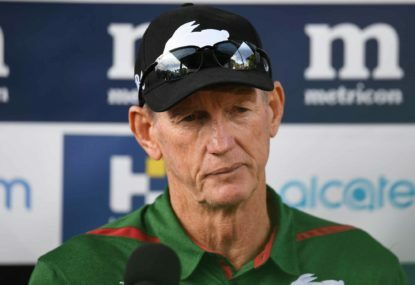 With the Roosters heavily depleted at the hand of Origin and the Rabbitohs having a full strength team, I’m tipping a big South Sydney win this week to follow the flogging that they gave Penrith last week. The Panthers have really gone from hopefuls to no-hopers this season. 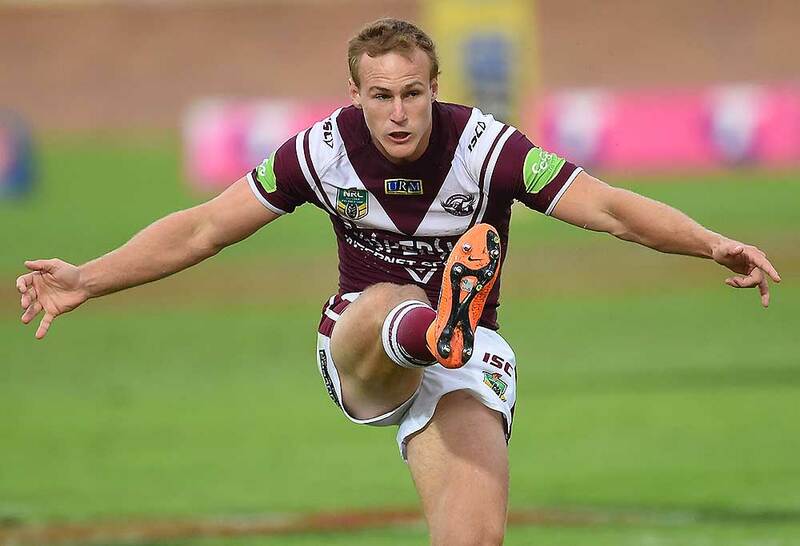 After the belting they received from the Bunnies last week and the fact Daly Cherry-Evans did not get selected for Origin, the Eagles will be out to continue their drive to the grand final, something I predicted last year. I can’t see how the Panthers will bounce back this week, so a Manly win. 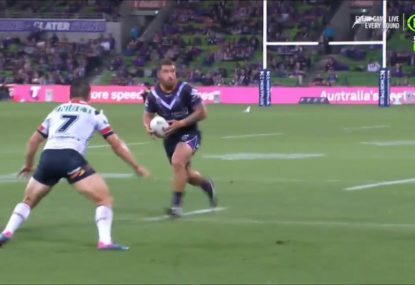 Even with the Storm missing their Origin players they are nearly impossible to beat at home. 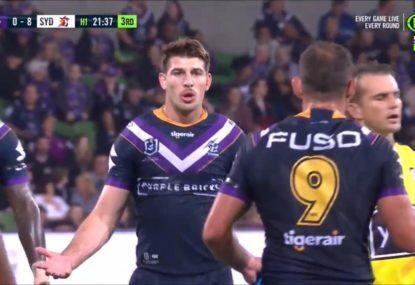 They have only lost twice at home this year – once against the Sharks in the grand final replay in Round 6 and that epic comeback from the Gold Coast in Round 10. 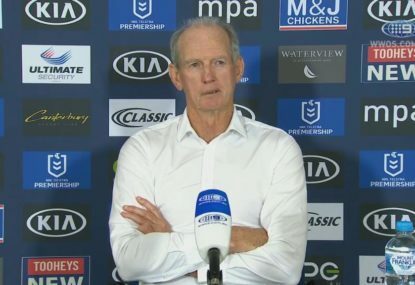 The Eels have not looked great at any point this year and in the only game I have seen this year, they were hammered by the Cowboys. 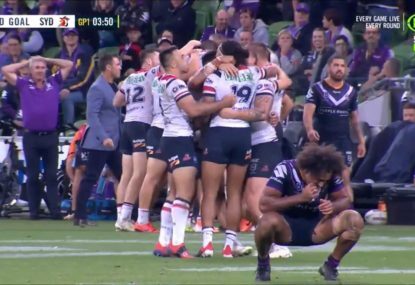 The Storm have proven they can win without their Origin stars and they will do it again this week. Close one to the Storm. The Knights almost got the Dogs last time but they blew it. This week, I’m hoping Newcastle can rise again and humble the home team. The Knights have proved they can get a lead, now they just need to hold onto it. But being the Bulldogs’ home game, it’s going to be quite the challenge. Realistically, the Knights really have little chance of winning this game. 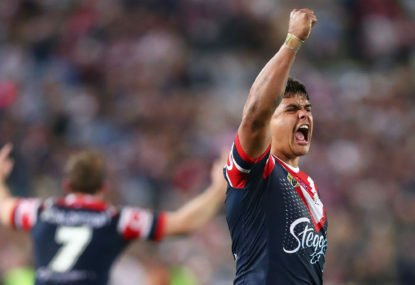 I’m more than happy to be wrong on this occasion and I’m can’t believe I’m writing this, but a Bulldogs win, with the Knights letting it slip away.